Often buildings are constructed without effective damp-proofing, due to faulty design or construction. This allows moisture to enter the building, often resulting in decorative spoiling (such as paint blisters or flaking) and an unpleasant "musty" smell. New buildings are designed to be constructed with dpc sheeting fitted under the floor slab and protruding through the brickwork. Failures can occur when either dpc sheeting is fitted only in the brickwork and not under the slab or when the dpc sheeting is faulty or has been damaged. When this happens, the only effective solution is to create a chemical dpc. This can be achieved using either the traditional method of injecting fluids containing silanes and siloxanes (Microsilan) into the brickwork under pressure or by modern and more efficient method of injecting a cream containing the same chemicals into the walls. Dryzone was the first such cream developed for the industry by Safeguard Europe and which is now used in countries worldwide. A further problem is that of Penetrating Damp where rain penetrates walls through faulty mortar or porous brickwork – a common problem in the Cape where strong, driving winds bring excessive rains. 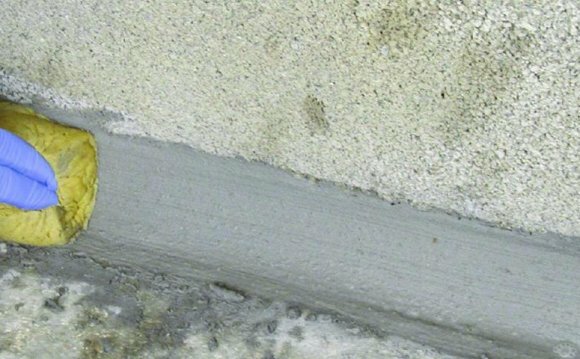 Penetrating Damp can be stopped by water repellants which are usually renewed every 2 - 3 years due to excessive UV attack. Stormdry, however, is a deep penetrating cream which has a guaranteed life span of 20 years.